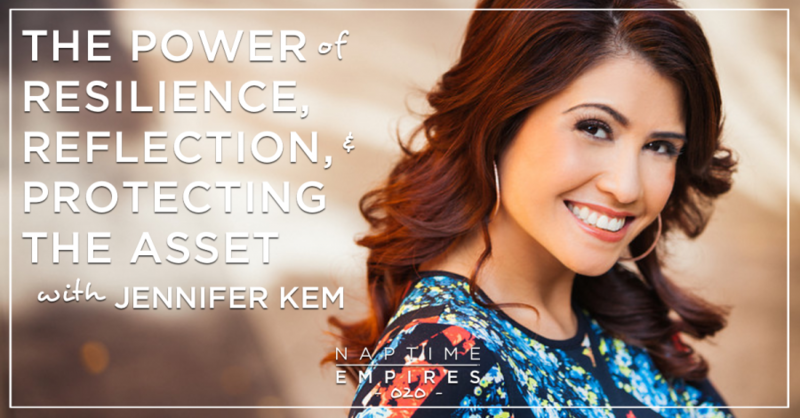 Jennifer “Jen” Kem is the founder of Seen, Heard, and Paid Live (SHP Live) and creator of the popular brand thought leadership program, Master Brand™ and the only launch implementation incubator in the biz, Momentum Pro™. For 18 years, Jen has been working with the Fortune 500 (Verizon, Blue Cross Blue Shield, Oracle and others) to launch products and develop brand strategies, using the proprietary and powerful Brand Archetype Indicator Mix (AIM) framework being used by hundreds of marketing teams and entrepreneurs alike. Known as the CEO Whisperer, her ability to connect messaging and positioning with the psychology of client attraction, leading teams and building brand authority is called upon by dozens of thought leaders, best-selling authors, internet marketers, celebrities and speakers. Her passion is helping people create a legacy through aligning their values with their prosperity. As CEO of 3 companies that support the end-to-end brand experience, her ability to both creatively capture the essence of and while scaling companies is one of the reasons she created SHP Live – to help small business owners and entrepreneurs choose and execute what they need to build and grow their brand impact and authority. She lives, works, plays and slays in Honolulu, Hawaii, with her husband, 3 kids and 3 dogs. Jen and I finally met (online) through our mutual biz buddy and friendtor Dan Martell – although we’ve been living 10 minutes away from each other for years! NOTE: I’m actually speaking at her Seen, Heard, and Paid LIVE event coming up in Austin in April (2017, at the time I’m writing this – here’s the scoop if you wanna come see us ;)). My #alohafridays are numbered, so as often as we can, we meet up on Friday mornings while B’s at school to walk and talk and catch up on whatever’s going on. Her story is ridiculously inspiring, her personality packs a (fun, feisty, always real) punch, and her business brilliance is CLEAR.